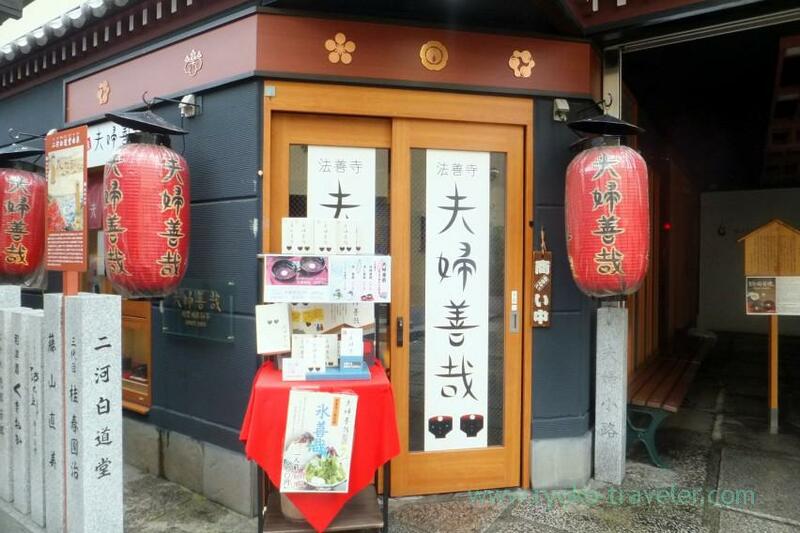 I visited Meoto zenzai that is so popular Japanese sweets confectionery cafe during my trip. 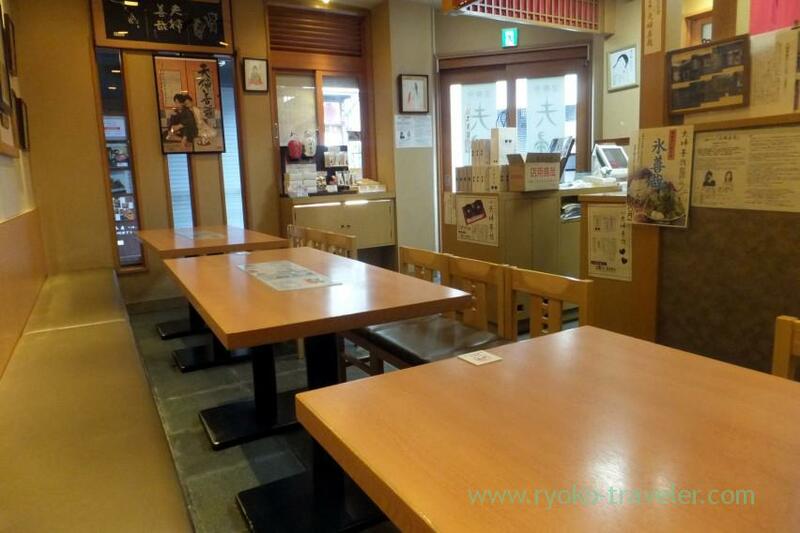 It’s also one of the popular sightseeing spot in Namba area. 2 What is Meoto Zenzai ? 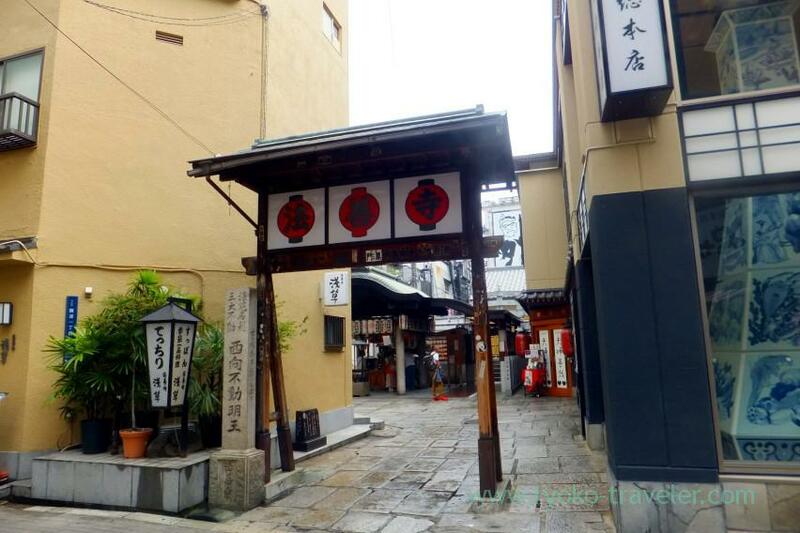 Meoto zenzai is located in front of Hozen-ji temple. 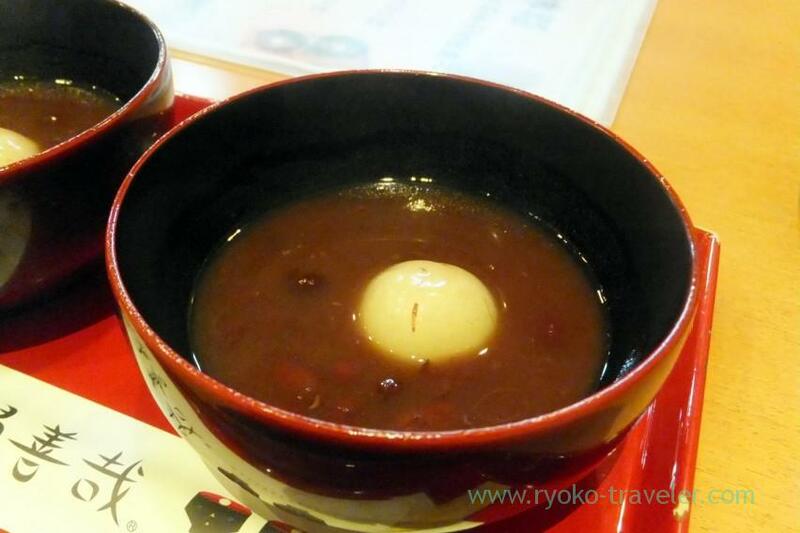 You might know zenzai (sweet and red bean soup). “Meoto” is married couple. 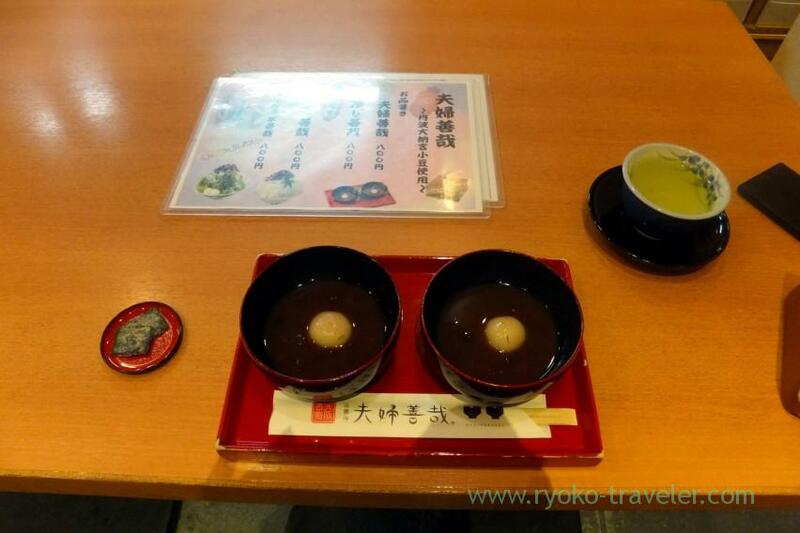 “meoto zenzai” is one bowl of zenzai divided into two bowls. 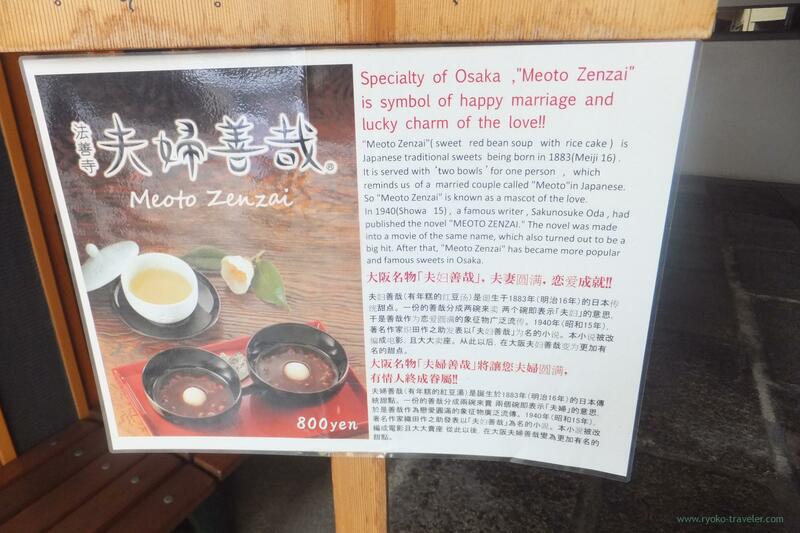 What is Meoto Zenzai ? 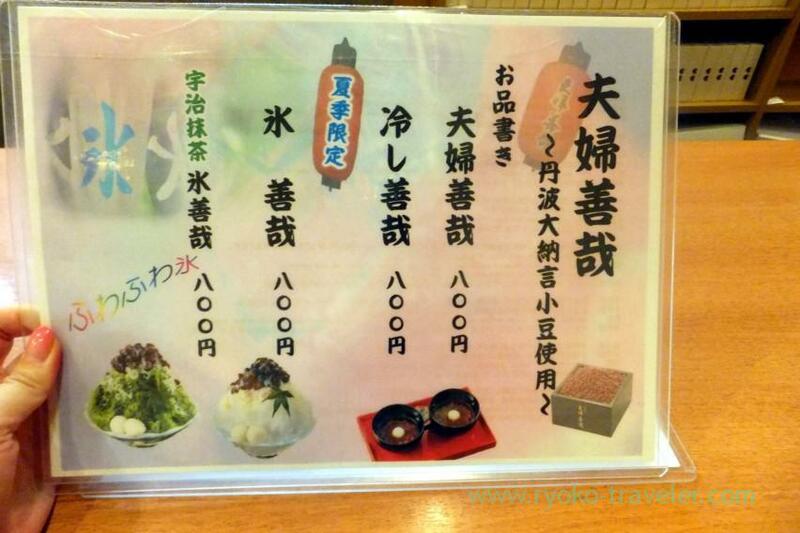 From right to left, Meoto zenzai (夫婦善哉), Cold meoto zenzai (冷し善哉), kakigori zenzai (氷善哉), Uji-matcha kakigori zenzai (宇治抹茶氷善哉). Kakigori is served in summer only. There’re only three tables in the shop. Maybe we have to share tables during busy hours. 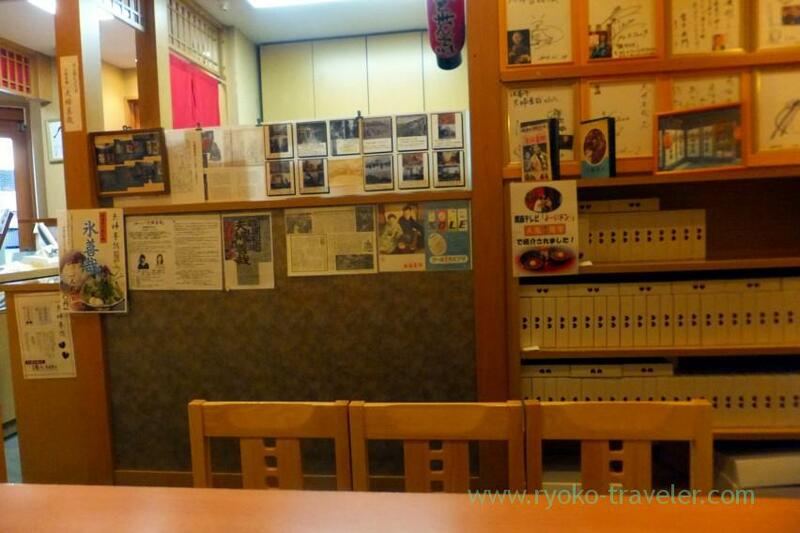 There’s no guests because I visited there just after the opening time on weekdays. Meoto zenzai is long-established Japanese confectionery cafe. 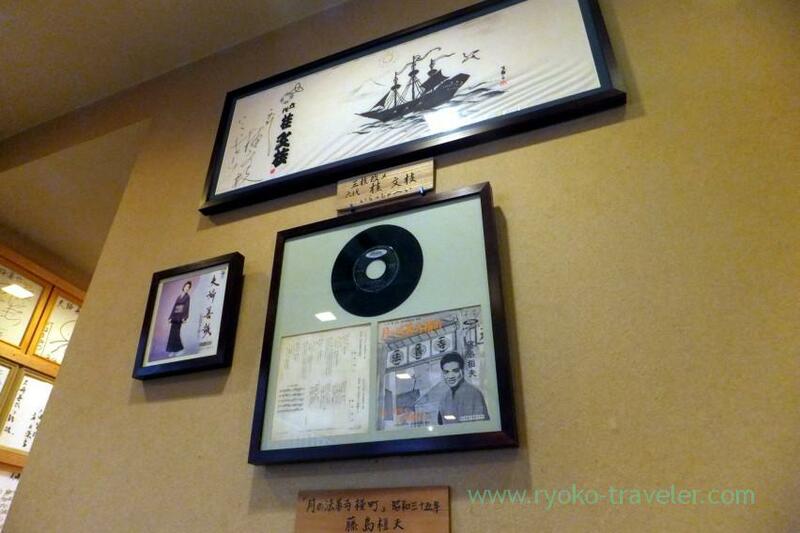 So, there’re many autographs, pieces of newspapers and magazines concerning Meoto zenzai. I said. Meoto zenzai is one bowl of zenzai divided into two bowls. So, both have half empty. 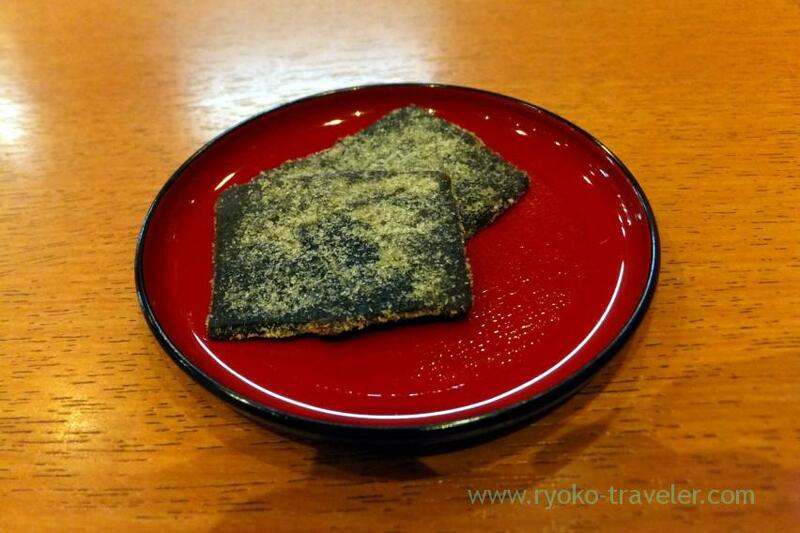 And both have one shiratama (rice cake). So, it’s not large. Zenzai is very sweet, so salty konbu help you. Open / 10 a.m. – 1 p.m.